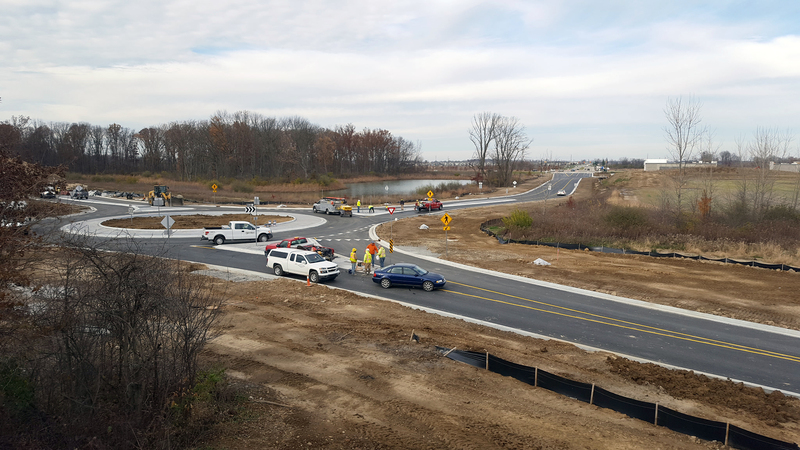 The City of Noblesville will open its Brooks School Road extension to traffic by the end of today allowing holiday travelers and shoppers to utilize the new infrastructure near Hamilton Town Center and I-69. The extension allows Brooks School Road to travel from 136th Street north to the intersection of Boden Road and Campus Parkway as a three-lane road with trails on each side. The project also extends 141st Street west from Cabela Parkway. There is a roundabout intersection at Brooks School Road and 141st Street. The city anticipates that more than 10,000 vehicles will travel this new north-south roadway daily. “The road will provide another entrance to destinations like Hamilton Town Center and Klipsch Music Center and provides retail development opportunities south of Campus Parkway,” Mayor John Ditslear said. While the roadway is open to traffic, multi-use paths along the entire project, final asphalt surface and permanent pavement markings will be completed by the end of spring 2017. Rieth-Riley Construction Company, Inc. began work in September. 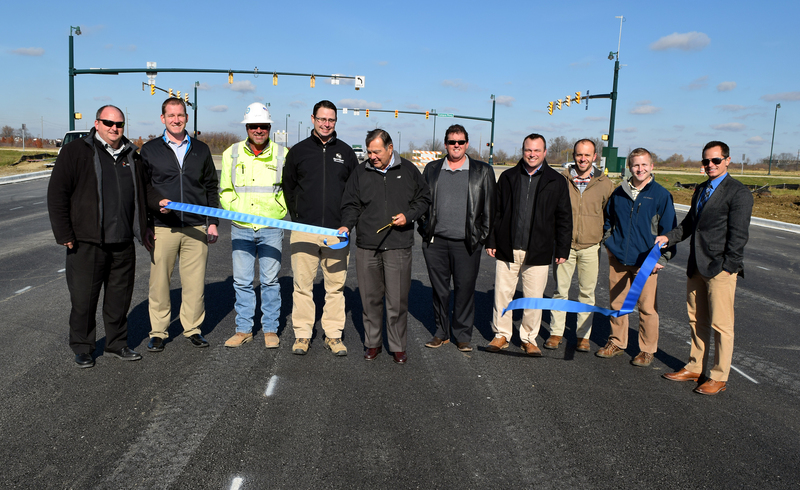 Jim Hellmann served as the city project manager and American Structurepoint, Inc. designed the roadwork.